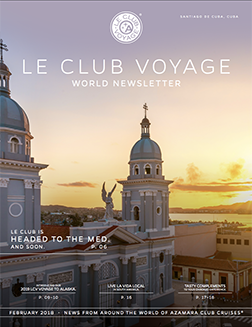 Welcome to our first Le Club Voyage World Newsletter of 2018! With the launch of Azamara Pursuit℠ and our first-ever World Journey, 2018 will be an exciting year of firsts for Azamara and our guests. Inside, you’ll learn about an exclusive pre-cruise experience on our upcoming 2018 LCV Voyage, where Le Club is headed in 2019, brand-new Land & Sea Packages in South America, our new onboard entertainment playbill, and so much more. 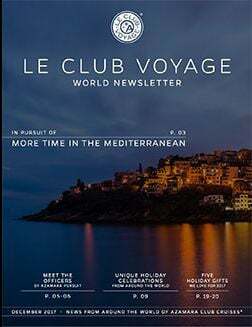 Welcome to a special holiday edition of our final Le Club Voyage Newsletter of 2017! 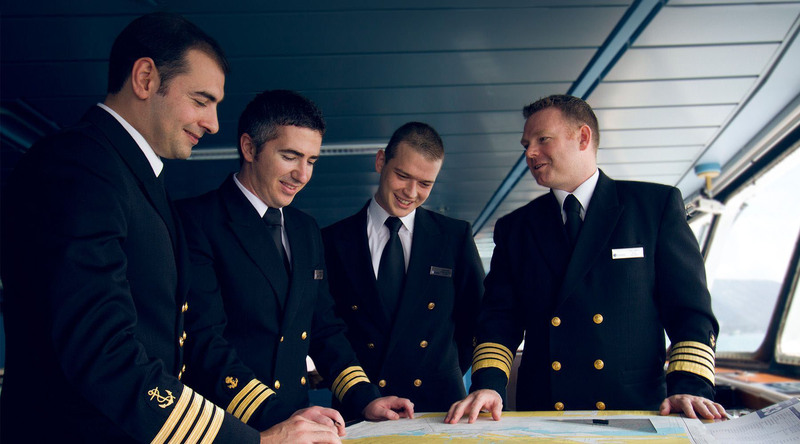 Inside, you'll read about the new Mediterranean Azamara Pursuit itineraries, which officers and crew will be joining the Pursuit, unique holiday celebrations from around the world, our 2017 holiday gift recommendations, and so much more. 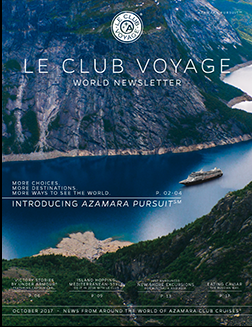 This month marks a new chapter for Azamara, and when you dive into our latest LCV Newsletter, you’ll find out why. Read about our new ship and what it means for 2018 and beyond. Learn why Hotel Director Philip Hebert thinks Alaska is a must-visit destination. Then indulge your inner foodie with a three-step guide to eating caviar like a Russian.